Ever spend an entire weekend cleaning out your pick one: garage/basement/office/computer files/junk drawers/cabinets? Did you stand there Sunday evening, admiring your hard work, and promise to never, never, never let it get so full and disorganized again? The to-do list has become one of these secret dumping grounds. Yes, some of this to-do overwhelm can be attributed to inefficient organizational or time management skills. Those frustrations are easily addressed with proven systems such as ProductiveDay. But much of the problem is due to our not wanting to let go… not wanting to let go of the (delusional!) possibility of having accomplished it all, of being all things to all people, including ourselves. But, sadly, in the process we overwhelm our ability to be effective for the people and projects we value most. Step one of successful energy management is reducing the stress load, reducing the number of ways you spend your precious time and energy by cleaning out the to-do list: DELETE, DELEGATE, DEFER! Let go and realistically wean down the possibilities to best align your energy expenditures with your values and goals. There will still be too many things on your list, some quite onerous, but every little freeing of energy makes a difference. Clients feel lighter, more focused and energized after this (sometimes painful!) exercise–a taste of that clean garage feeling! 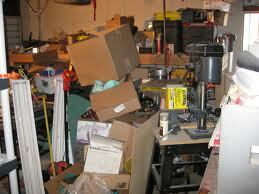 But now… how do you keep from overfilling, overwhelming the list again, just like the garage? The answer is simple. Use your mission, values and goals as the GPS to mindfully choose what gets put on your to-do list. In workshops we create personal mantras to bring that repeated attention to intention necessary to change behavior. Be the ruthless bouncer at the door to your list! Ask, “Does this choice meet your entrance criteria or do you need to delegate it or defer it?” This proactive self leadership is empowering, stress reducing, and supports your purpose. And nothing is more motivating than feeling effective in your own life! What are the admission requirements for your to-do list? Contributed by AIS Fellow and Chairman of the Workplace Stress Board, Cynthia Ackrill, M.D. Visit Dr. Ackril’s website: www.wellspark.com for more practical stress managment information.